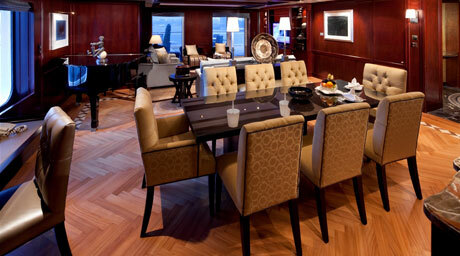 Celebrity Infinity will soon sail with a new sense of style and excitement. A popular member of our fleet, she'll undergo a spectacular refurbishment in December. She'll emerge with AquaClass accommodations including the Mediterranean-themed Blu specialty restaurant. She'll get the hip Celebrity iLounge where you can participate in the iLearn enrichment series or pick up the latest high-tech wonder from the first Apple Reseller at Sea. And get ready to have a unique, memorable dinner at the innovative Qsine restaurant, where you order from an iPad. Finish with a chilled Peartini at the ice-topped Martini Bar. 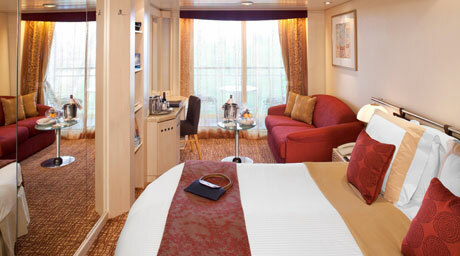 Plus more staterooms, more verandas, an expanded art collection, and completely new décor throughout. There's going to be a new way to get away and make the most of your precious vacation days.